If the U.S. funded international development projects like venture capital investments, we might begin to see vast improvements in global prosperity, which would result in significant poverty reduction. There’s no time like the present, especially when you consider that the budget for the United States Agency for International Development (USAID) was slashed by more than 30% to $15.4 billion in 2018. If more countries go the way of the United States and slash their foreign aid budgets, this could lead to significant setbacks for many poor countries. As such, development professionals must become more impactful with their dollars. The USAID Development Innovation Ventures (USAID DIV) program, which funds local innovators with the potential to scale their innovations so that it can impact millions of people, provides a compelling example of a framework that has the potential to fast-track the development process in many poor countries. What is the USAID DIV? DIV staff go into a region with few assumptions in the hopes of learning, understanding, and then funding. This process enables the organization to maximize its impact and minimize its mistakes, waste, and failures. Since inception, DIV has invested over $90 million in more than 170 organizations, most of which are developing innovations that are creating a new market or developing solutions to improve existing markets in poor countries. For example, in 2013, DIV invested in a little-known Tanzanian company that provides electricity solutions called Off-Grid Electric. A couple of years later, after delivering stellar results, DIV invested further to help the company scale its operations. If Off-Grid Electric hadn’t delivered results that suggested it could sustainably scale its solution to hundreds of thousands and possibly millions of people, DIV would not have funded the organization further. Since 2013 DIV has invested $6.1 million in the company. But perhaps what’s even more impressive is that Off-Grid Electric has gone on to raise more than $95 million from other investors. 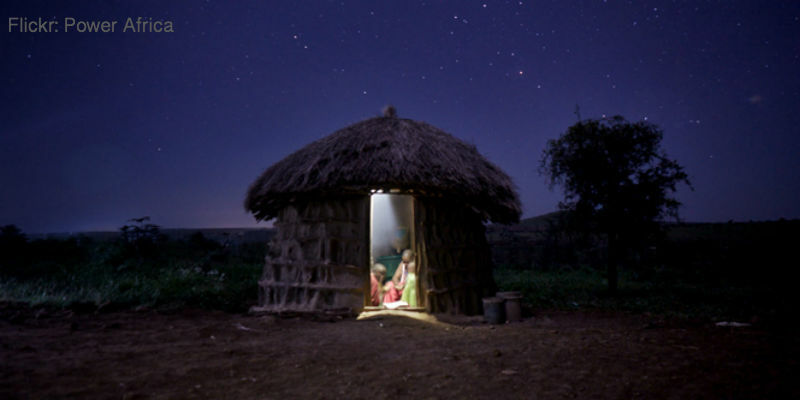 To date, the company has provided affordable electricity to more than 200,000 Tanzanian households and is electrifying the country at a rate of 10,000 households per month. At the time of this writing, Off-Grid Electric was creating about 50 jobs every month. DIV is by no means a perfect program, yet its deliberate effort to get to know the circumstances of the areas in which it’s investing, coupled with its investment strategy of starting small and growing its investments when success metrics are met, have proven to be effective in helping the organization assist thousands of innovators in low- and middle-income countries. DIV’s entire budget, including operational expenditures, hovers around $20 million, limiting the number of innovations it can support. What might happen if its budget were closer to that of the average World Bank project, at $166 million? What might happen if the ethos of DIV were shared in the entire USAID organization? Or better yet, what might happen if other aid programs from wealthy countries thought about development the way DIV does? If this shift begins to happen, our research indicates that many poor countries will not only eradicate extreme poverty within the next generation, but they will also begin their march towards long-term and sustainable prosperity.